On Monday, Prince Harry and Duchess Meghan attended a welcome reception at Admiralty House in Sydney, Australia. They were presented with their first baby gift since announcing their pregnancy. The couple received a toy kangaroo with a baby joey in its pouch. They were also handed brown baby booties. At the reception at Admiralty House in Sydney, Australia, the Governor General Peter Cosgrove and his wife, Lady Lynne Cosgrove gifted Prince Harry and Duchess Meghan their first baby gifts. For more on this story go to our Twitter account @amomama_usa. The kangaroo and baby joey toys also came with brown fleece Ugg booties and two hats. The two Royals are currently on an international tour in Australia, Fiji, Tonga, and New Zealand for 16 days. 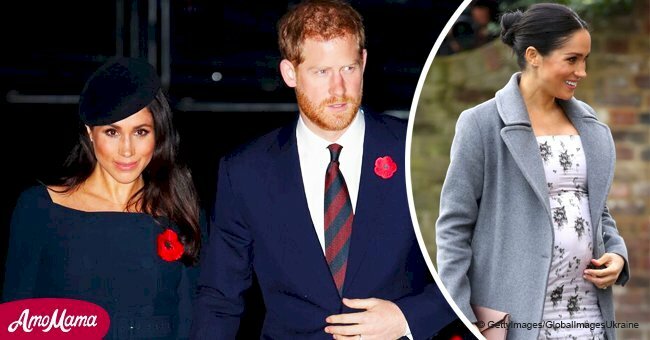 On the same day they arrived on the continent, Kensington Palace made the announcement about their pregnancy. 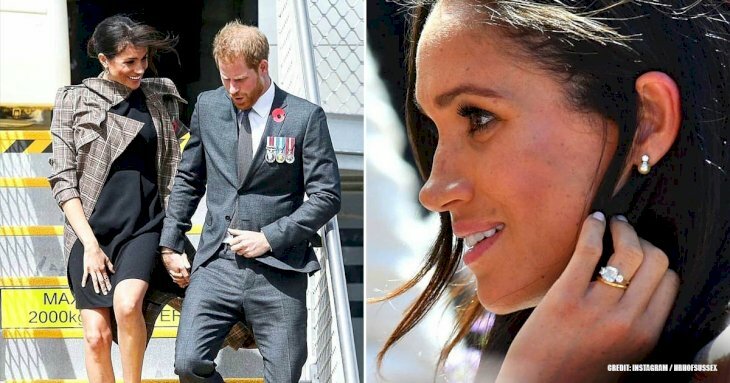 Harry and Meghan didn’t plan on changing their itinerary despite travel advice that pregnant women should consider not travelling to the countries because of the moderate Zika virus risk. Kensington Palace shared that the couple had sought medical advice and decided to continue with their plans. Their baby would be seventh in line to the throne, and the Queen's eighth great-grandchild. 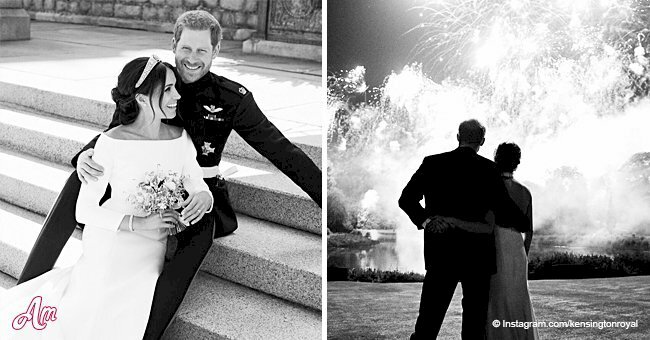 The Queen, the Duke of Edinburgh, Doria Ragland, the Prince of Wales, the Duchess of Cornwall, and Duke and Duchess of Cambridge were said to be "delighted" for the couple. 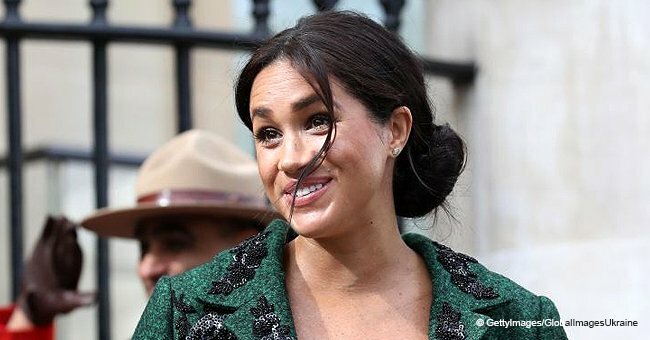 Images recently taken of Meghan revealed that she already had a small baby bump showing. For her Monday visit, she wore a white dress called the Blessed dress, by Australian designer Karen Gee. Her tiny baby bump was clearly visible.